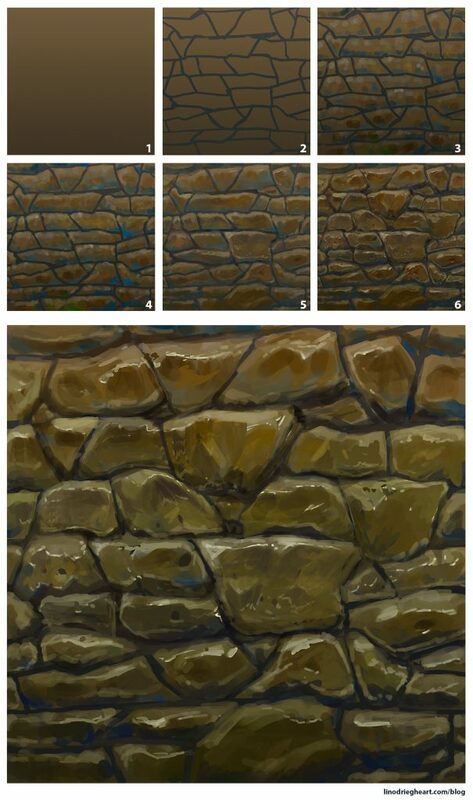 I made this tutorial about creating a hand painted stylized stone wall texture for the students that follow the Game Art 1 course at Digital Arts and Entertainment. 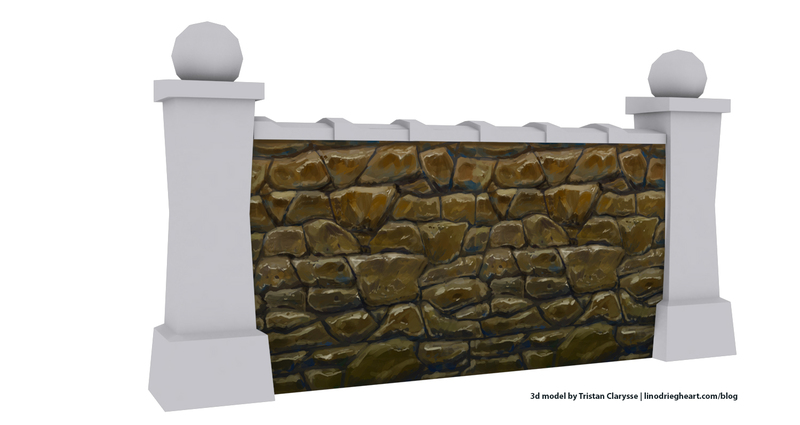 In Game Art 1, students learn how develop their own reference prop through all the development steps, from 2d sketches to a finalized 3d model with hand painted textures. Take a step back and have another look at your final result. It happens that most of the contrast is gone or that your shapes are not interesting enough because of being too similar or odd looking. Luckily, by using various filters such as Levels, Hue / Saturation, Color Balance, and Color Lookup, we can tweak the end result. If you notice some parts need changes or more work, you can also rework them with your round brush. Let me know if this technique was any worth to you! ← Composition 101: What is composition?